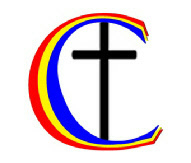 Welcome to the website for the Coastline Community Church, based in Pittenweem, Fife. This Church has emerged from the East Neuk Baptist Fellowship which is a union of the former Anstruther & Pittenweem Baptist Churches. The East Neuk Baptist Fellowship is still our constitutional name; our new name reflects the vision and desire we hold to become fully involved in our East Neuk community. Our Mission Statement reveals our primary purpose, and underpins all we strive to do in our community, and we believe we are following the clear guidance of our Lord in moving dynamically into this 21st Century. As the story of our the Coastline Community Church unfolds, it will be clear just how amazingly the Lord is working in the East Neuk, and with this project in particular! The Coastline Community Church has now completed the final stage of a large and exciting series of major changes. We disposed of our two former premises in Anstruther and Pittenweem (formerly the Anstruther Baptist Church and the Pittenweem Baptist Church), and have moved into our new multipurpose facility at 21 Session Street, Pittenweem. Also, in order to continue the much-needed outreach work with the young people of the East Neuk, we have a Youth Team that runs the COZ Youth Club and the Youth Fellowship. Our new Pastor, Daniel Pollin, was inducted into post on 27th February 2010. Our Youth Worker post is currently vacant until a new Youth Pastor is called to work with us. “Hello and a very warm welcome to our Church’s website. Our name, Coastline Community Church, reflects our priorities, namely our local community and the Church. We are a church first and foremost. A body of believers united, both as individuals and as a community, not by religion, but by a living and loving relationship with the Lord Jesus. We are a church that is based on His Word, the Bible; and a church that strives to live out that Word, by the power of His Holy Spirit. In living out that Word we have a great desire to obey the Lord’s Great Commission (Matthew 28: 18-20) to go out and make disciples of all nations. For us, that commission starts here in the East Neuk of Fife. We have a great passion for our community and desire to see it transformed by the Word of God. We are now using our new building in Session Street in which we can provide this East Neuk community with not only a modern worship centre, but with a safe haven, a place where people can come and find rest for their weary souls, relief and support for those struggling with addictions. We will have the first purpose-built disabled access centre in the East Neuk, and a place where our young people can get off the streets - or even a place where you can pop in for a ‘wee’ cup of tea! Whatever, one thing is certain: we desire to provide a facility that is for the community. Please explore our website and if you have any questions, please do not hesitate to contact me. Our Morning Services are held in our premises at 21 Session Street, Pittenweem! The Service starts at 10.30am with lively worship, teaching and ministry, and includes Holy Communion. We also have an evening ‘Cafe Church’ at 7pm usually on 2nd and 4th Sundays of the month. See ‘What to Expect’ for details. There is adequate parking behind the Town Hall (accessed via David Street), and there is full disabled access. A loop system is available for those with hearing difficulties. We hold a Wednesday evening Prayer Meeting at 7pm in our new premises at 21 Session Street, Pittenweem. The main focus of this Prayer Meeting is to continue to seek the Lord’s guidance and will for our involvement in our community, based in our new building. Daniel Pollin, Pastor, Coastline Community Church. Unless otherwise stated the contents of this website are Copyright © of Coastline Community Church, which is a Scottish Charity (No. SCO 00433), registered as East Neuk Baptist Fellowship. Where Copyright is held by others, its use within this site is with the Copyright owner’s prior permission. Any comments or suggestions should be made to the Webmaster. If you need to get in touch with any of the Leadership Team please phone 01333 312041. If necessary, leave a message - the voicemail is checked very regularly.